Back to the 1930s, halcyon days for Auguste Reymond when the company ranked among those known in the industry as the "watch barons". This was also the golden age of jazz, and the moon phase a complication the company already mastered. 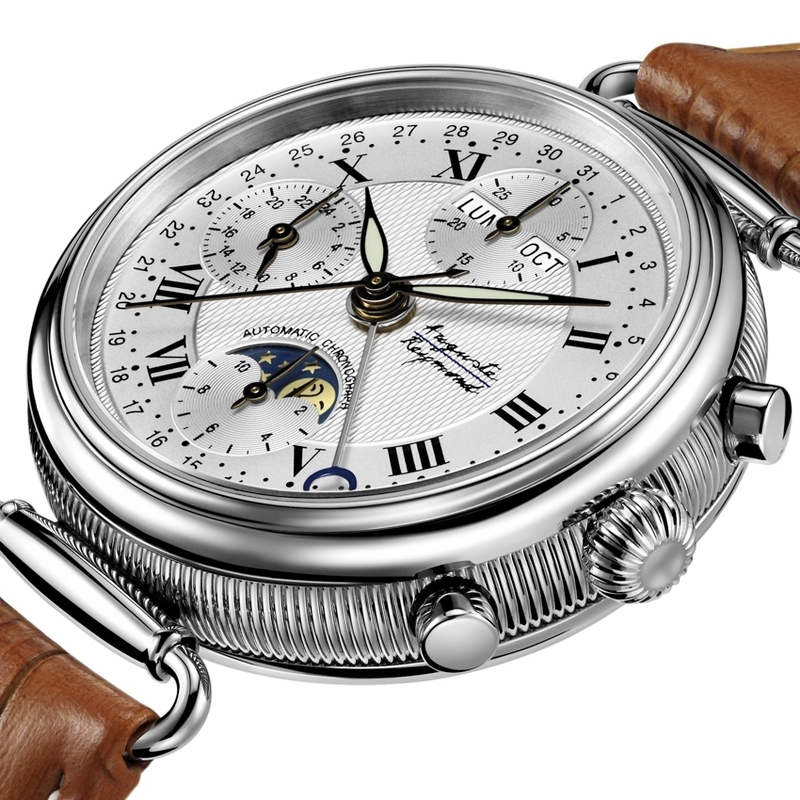 Jazz Age Moonphase is thus a tribute on two counts, to the exciting jazz years and to the brand's own golden era. 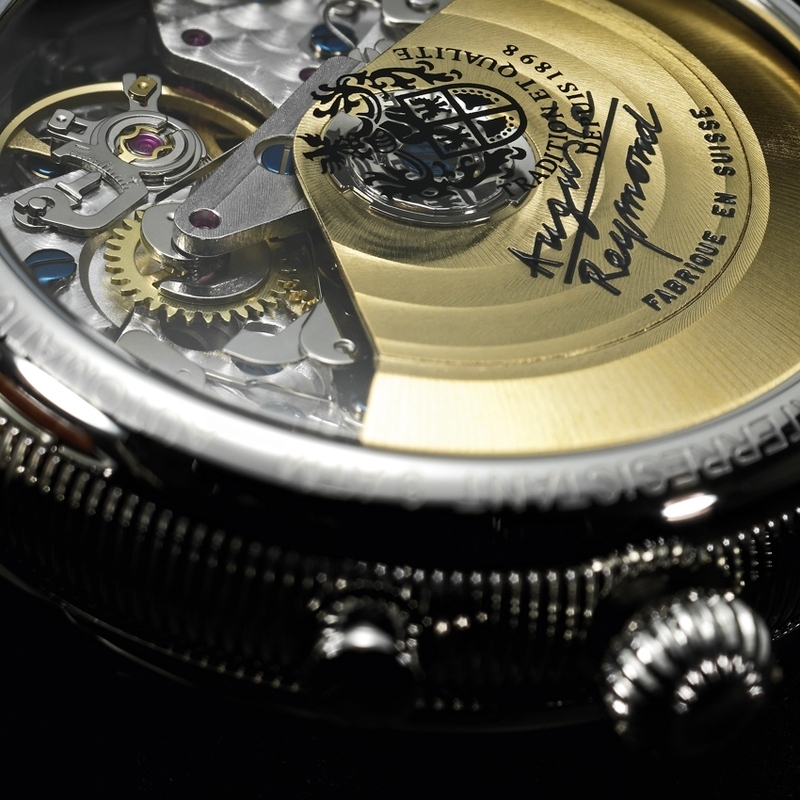 The full calendar and chronograph indications are driven by the Valjoux 7751 calibre. The silver-toned guilloché dial assembles small seconds and 24-hour display at 9 o'clock, a 30-minute counter, day and month windows at 12 o'clock, and a 12-hour counter and moon phases at 6 o'clock. The mobile attachments add to the elegance of this original, deliciously vintage timepiece.